I always say; there is always room for another niche. 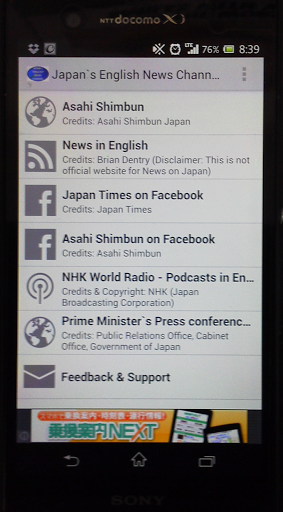 A niche idea can quickly build into something more mainstream, and the more I think about and use Japan’s English News Channel for Android, currently available on Google Play, the more I think it could prove to be useful in so many ways. The app is basically a RSS feed reader, aimed at getting Japanese-centric feeds straight into your Android phone or tablet, with the main trick being that the feeds and content have been translated into English. There are also live TV and video feeds, as well as social networking options, such as Facebook, available, and there are even podcasts on here as well. Now, that may not appeal to many people, but to people with an interest in Japanese culture and news, who cannot speak Japanese, this is an excellent app. This app aggregates news from various Japanese media which are delivered in English, such as – Live TV/Video, Live Radio and News sites. – which news source you wish to see in this app. Enjoy reading, hearing, viewing about Japan, in English ! 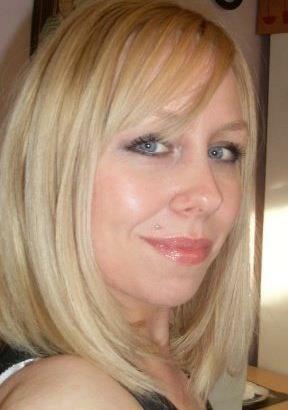 The app is very easy to use, and I had no problems navigating my way around the interface. The app isn’t the prettiest in the world, but it is functional, and does the job. The app seemed to work just as well on a large screened tablet as it did on my smaller phone. Overall, this is a tidy little app that could prove essential for those wanting to find the heartbeat of Japanese news and culture, without having to learn the language. Thank you so much for wonderful & positive review ! If it is still possible, can the app receive more than 100% rating when entire review was 100% positive. If any improvements are needed then current rating does make sense, of course.